People are rising against strongmen in Africa, but how entrenched are the ‘Big Men’ in African politics? 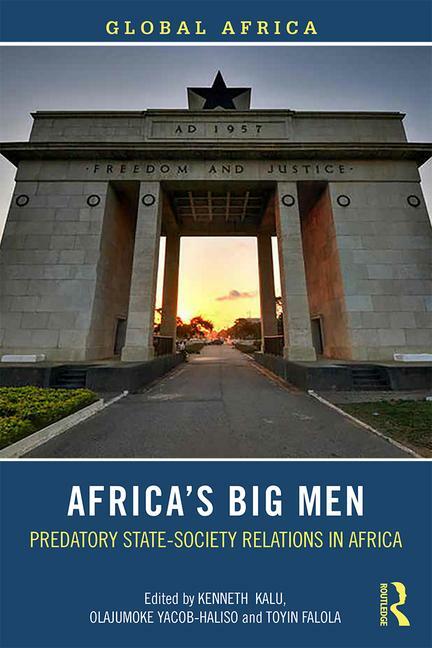 In Africa’s big men: Predatory state-society relations in Africa (Routledge, 2018), scholars explore the challenges and opportunities of restructuring the state and reordering of state-society relations. This book spotlights, analyses and explains varying forms and patterns of state-society relations on the African continent, taking as point of departure the complexities created by the emergence, proliferation and complicated interactions of so-called ‘big men’ in varying contexts across Africa’s fifty-four states. Although wide variations of history, culture, language, economic advancement and political stability can be found among the states that constitute the African continent, certain characteristics are strikingly similar: the current African states were creations of the colonial enterprise between the late nineteenth and early twentieth centuries; preceding these states were ancient forms of governing that were either erased, mutated or transformed in the colonial situation; the majority of African states confront challenges of social pluralism, ethnic political mobilisation, democratic development and social progress. Citizenship is contested, elites are recycled and frustrate mass political participation. Elections are bitter battles for state power and patronage and a few powerful individuals determine the destiny of the many. Poverty, conflict and disease may have given the continent a bad name, but the roots of these crises are not often explored or explicated from an African perspective, or paying attention to multiple explanatory variables rather than single, deterministic variables. Africa’s Big Men: Predatory State-Society Relations in Africa, makes a solid contribution in this regard. The African state has been variously described as soft, weak, swollen, rentier, illogical, underdeveloped, oppressive, powerless, and so on – epithets that speak to the inability of these states to fulfill basic functions attributable to the modern state in political philosophy: law and order, welfare, territorial sovereignty and totality of jurisdiction. How did these states evolve to exhibit these deformities in their composition, functioning and in their relations with the societies that they govern? What roles did the Atlantic space trade, other forms of slavery and European colonialism play in creating states that are unable to display the right and good relationships with citizens in civil society? Why did these forms of predatory state-society relations continue to thrive in Africa after the end of Atlantic slave trade and subsequent colonialism? Why did the emerging African leaders at independence fail to effectively dismantle the structures of exploitation and expropriation that were the defining features of slavery and colonialism? Who are Africa’s ‘big men’, and what are their trajectories? What global dynamics maintain these structures to the detriment of development in African states? How do social classes, ethnic and other groups within states across the continent interact within this milieu and what new complexities do they create? How do we locate citizens’ desire for the good life within state and class strictures that oppose them? Are there emerging forms of state-society relations that are under-studied, under-valued and have the potential to instruct new directions? Are there bright stars or success stories within the African continent that show good examples of states’ conscious effort to eschew exploitation of the masses and to promote inclusiveness and egalitarianism? Contributors to this volume advance answers to these and other questions from multi-disciplinary and diverse theoretical perspectives. It must be acknowledged that in recent years most African states have embraced democratic elections, albeit with significant irregularities. However, the recent wave of democratic elections has not helped to transfer real power to the people. The political process and electoral outcomes in many countries are driven by factors other than the ideology of the political parties or the parties’ intended programs. The big men’s hold on the state and its resources has largely remained the same in most of the continent despite the conduct of regular elections. What one observes with successive elections is the transfer of power and access to state resources from one set of big men to another; with little or no real structural transformation on the state-society relations and equally no commitment of the state to provide public goods for the citizens. 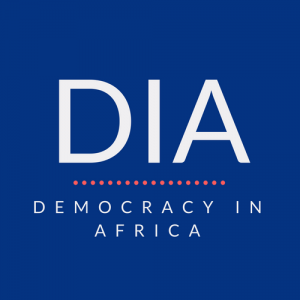 The conduct of regular democratic elections in many states, though an improvement from the era of sit-tight leaders, have done little to move the average African state onto the path of inclusive growth and development. Researchers, Africanists and African development partners must therefore continue to explore solutions to the perennial clientelism and the predatory state structure that have systematically blocked the opportunities of majority of Africans; and made diseases, poverty, misery and despondency almost permanent narratives of Africa and its peoples. Africa’s Big Men: Predatory State-Society Relations in Africa, advance innovative pathways for turning around the negative narratives of Africa towards more positive futures by advocating inclusive politics, sustainable development and indeed, radical restructuring of the state and the re-ordering of civil society to support these aims. Kenneth Kalu is Assistant Professor at Ted Rogers School of Management, Ryerson University, Toronto, Canada. Olajumoke Yacob-Haliso is Associate Professor in the Department of Political Science and Public Administration at Babcock University, Nigeria. Toyin Falola is the Jacob and Frances Sanger Mossiker Chair Professor in the Humanities and a Distinguished Teaching Professor at The University of Texas at Austin, USA. There is unfortunately no quick easy remedy to this ‘Big Man’ ethos in African Governance as each ‘big man’ in Africa subscribes to a particularized element in power retention notwithstanding the existential cash crucible which indeed provides the essential oxygen required in power holding long term. Each Big Man is clarion in a relative form nationalized idealistic when acquiring power. However, when power is obtained along in power being trenched within the national zietgeist this clarion becomes diminished if not extruded into a form despotic. Important is advancing this essential conversation as the felt imperative in most African Nation States is to diminish the role function of the ‘big man’ along with all the big man attendant foibles suggesting why a citizen alert educated in not being afraid in speaking truth to power will prove crucial.